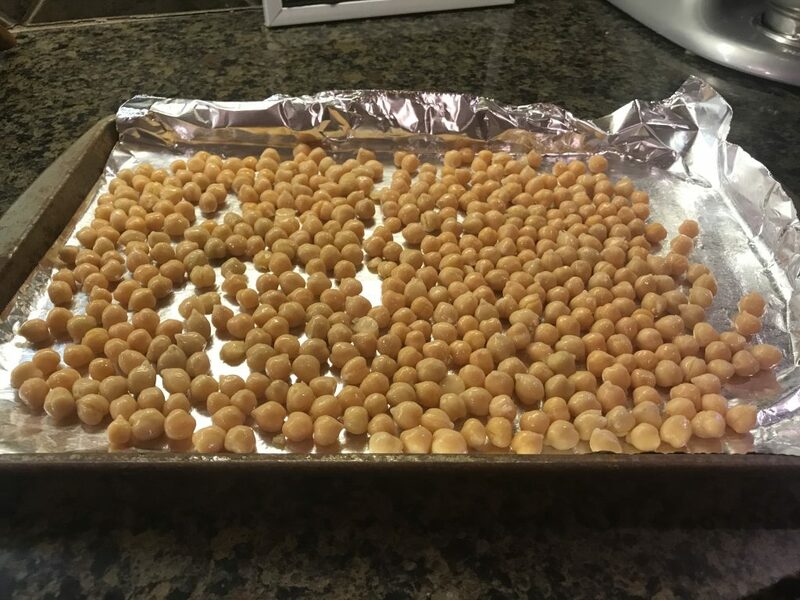 Chickpeas, also known as garbanzo beans, are a legume that’s packed with fiber and protein – along with nutrients like folate and manganese. 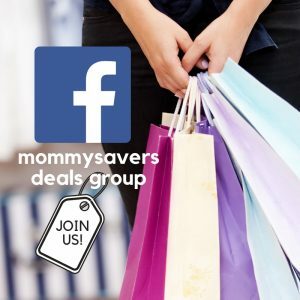 That’s not their only bragging right, they’re also extremely frugal. 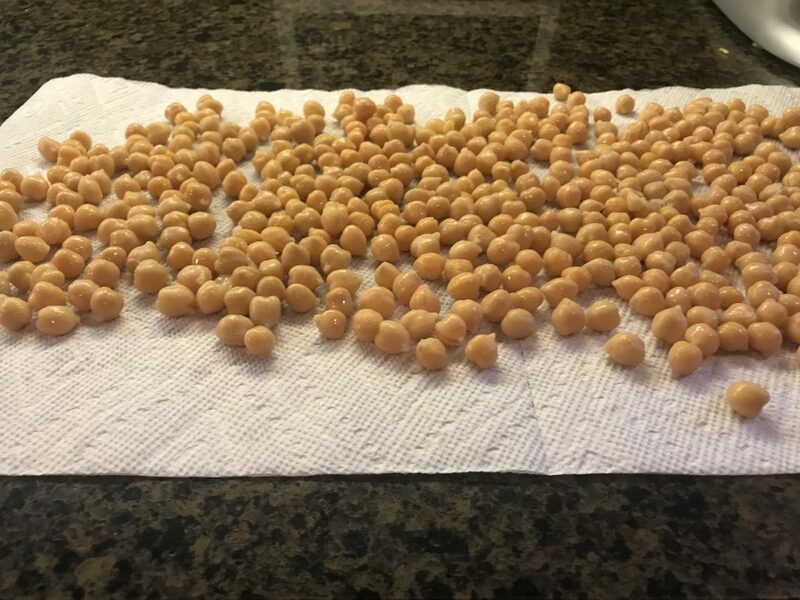 You can get them dried and bagged for a buck or two, and soften them by soaking like you would with dried beans (I love using my Instant Pot for this). Or, make it even easier and get them canned. They’re typically under a dollar a can. They taste great when they’re roasted, and once you learn how to do this at home you can experiment with different flavors and seasonings. 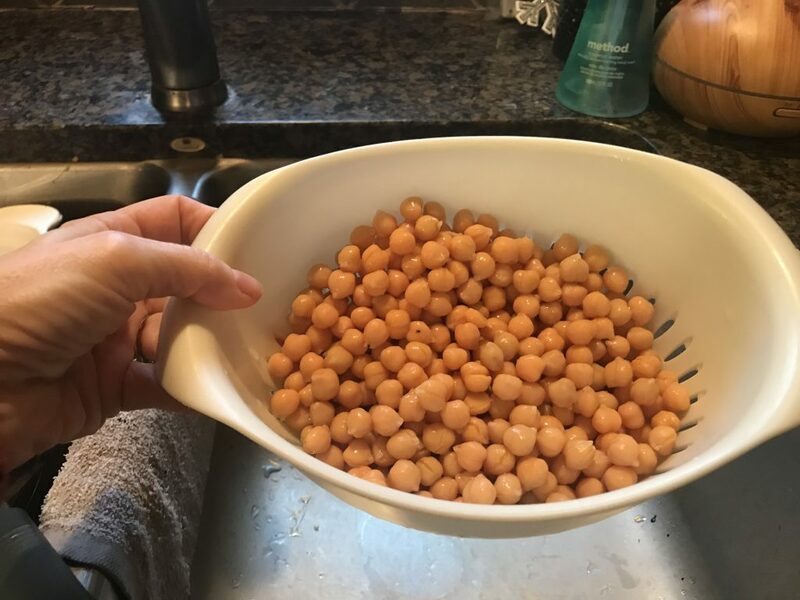 Drain your cans of chickpeas, rinse in cold water. Rinsing well helps remove some of the starch that can cause flatulence as well as the sodium content #goodtoknow. Lay out on a paper towel to absorb any extra moisture. 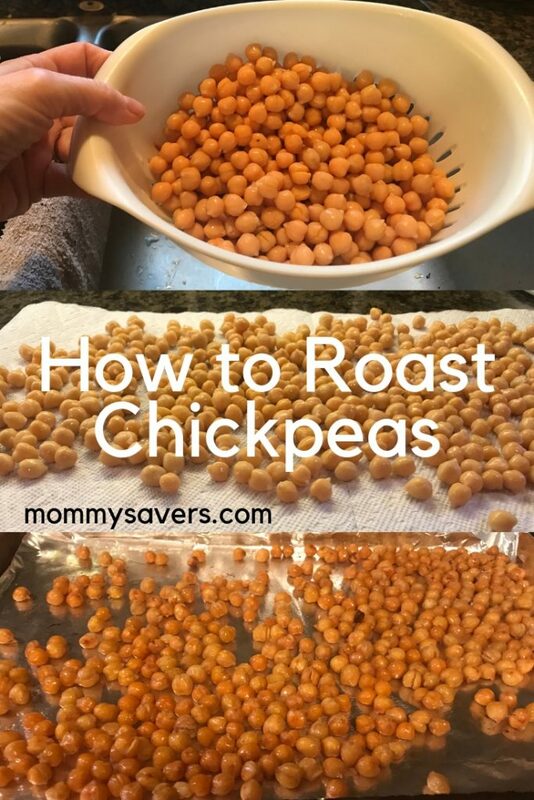 Season your chickpeas with about a teaspoon of extra virgin olive oil per can, and season with sea salt. Don’t add too much oil. 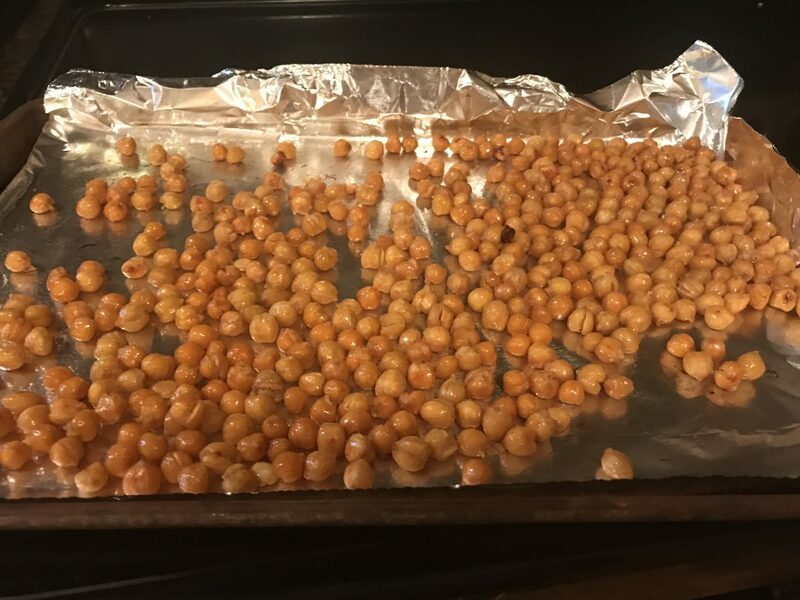 Lay chickpeas out on a cookie sheet. Bake for 10-15 minutes, until golden brown, stirring halfway. Let cool, and enjoy! These taste great by themselves (sprinkle with a little Parmesan cheese or other seasonings) as a snack, or in a salad. Check out some of our easy summer salads and our Simple kale and quinoa salad.